﻿ Master ﻿H﻿ome and Building Inspections provides Home Inspection services for current and future homeowners. Our services are detailed and can include inspections on new and existing homes , and testing for Radon, Mold, Air Quality, and Wild Animal Infestation. Now providing Home Energy Analysis using the US Dept. of Energy's Home Energy Scoring program. Click here for more info. For a short period of time, pricing is $100. for Virginia properties, and $50. for DC and Maryland properties. 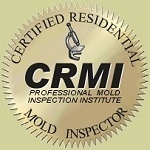 The analysis is FREE when included with a home inspection performed through year end!